It’s amazing to think that just a few years ago, many people thought of LEDs as nothing more than the tiny red lights in our laser pointers but my, how the times have changed! With more and more people realizing the energy-efficiency benefits of LED lighting, it seems that everything from headlights to TVs to even clothing and wallpaper are now being lit up by the versatile lighting technology. Unlike incandescents, LEDs are super-compact, don’t emit heat and use just a fraction of the energy – plus their flexible, plastic design allows them to be used in a wonderful variety of innovative ways that other types of lighting just can’t touch. We’ve seen so many weird and wonderful uses for LED lighting lately that we decided to put together a roundup of our favorite examples for your viewing pleasure. 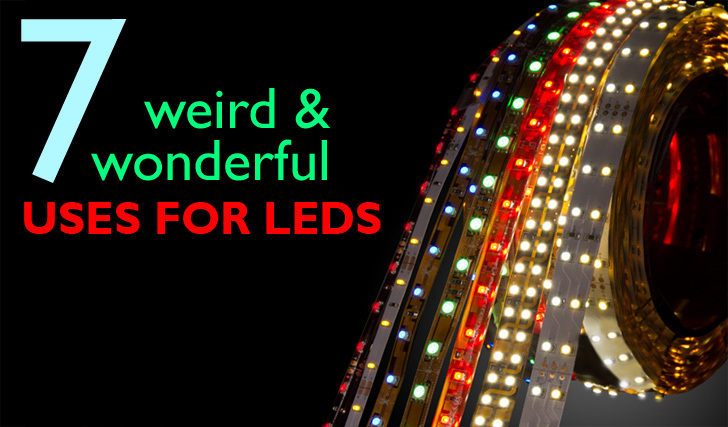 Click through our gallery to see some of the quirkiest, most interesting uses for LEDs that we’ve ever seen. We all know how hot and steamy a car’s interior can get when it’s super sunny. Why not put some of the sun’s rays to work for you? That’s the idea behind this new solar-powered LED car sunroof from Philips. Drivers can flip a switch to choose between a normal, clear sunroof or a solar-powered light that illuminates the cars interior. There is also a wide variety of other LED lights for cars including turn signals and break lights. Changing the color of your walls is currently a chore, but in the future, it might just take the flip of a switch. Developed by Philips, this LED wallpaper could make painting your walls a thing of the past. Emitting a soothing glow, the luminous wall panels can be configured in a myriad combinations of color. Laser pointers do not use leds (light emitting diodes). 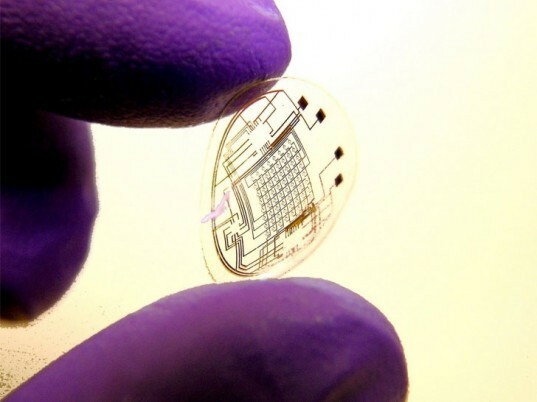 They do use laser diodes (different type of diode). I work in the led technology field but never see some of these applications, fanstastic !!! It's amazing to think that just a few years ago, many people thought of LEDs as nothing more than the tiny red lights in our laser pointers but my, how the times have changed! With more and more people realizing the energy-efficiency benefits of LED lighting, it seems that everything from headlights to TVs to even clothing and wallpaper are now being lit up by the versatile lighting technology. Unlike incandescents, LEDs are super-compact, don't emit heat and use just a fraction of the energy - plus their flexible, plastic design allows them to be used in a wonderful variety of innovative ways that other types of lighting just can't touch. We've seen so many weird and wonderful uses for LED lighting lately that we decided to put together a roundup of our favorite examples for your viewing pleasure. 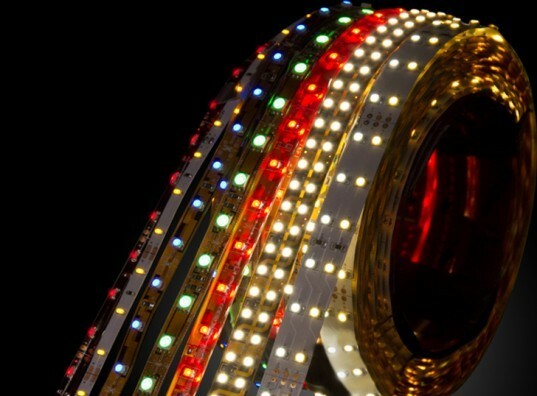 Click through our gallery to see some of the quirkiest, most interesting uses for LEDs that we've ever seen. 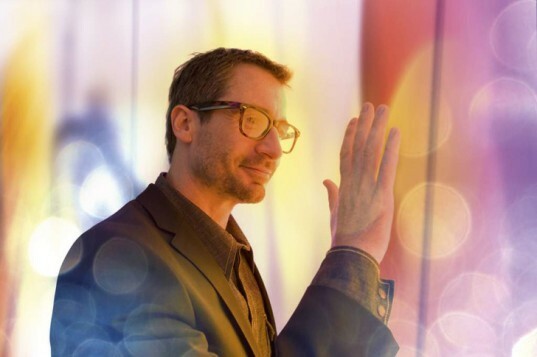 LED VIRTUAL SKY LED lighting is certainly more energy-efficient than traditional incandescent lighting but did you know that it can make us happier and more productive too? 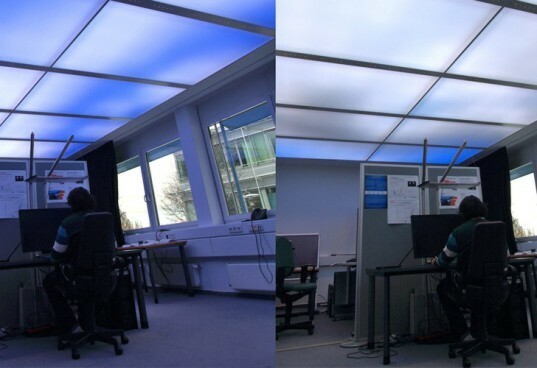 That's what researchers at the Fraunhofer Institute for Industrial Engineering IAO found when they developed their LED virtual sky panels. Designed to replace ceiling panels in offices, the light-laced modules mimic the sky, giving workers the sense that they are in an open wide field. Much more pleasant than being under harsh fluorescents and since studies show that daylighting improves productivity upwards of 15%, these panels could lead to more work getting done as well. 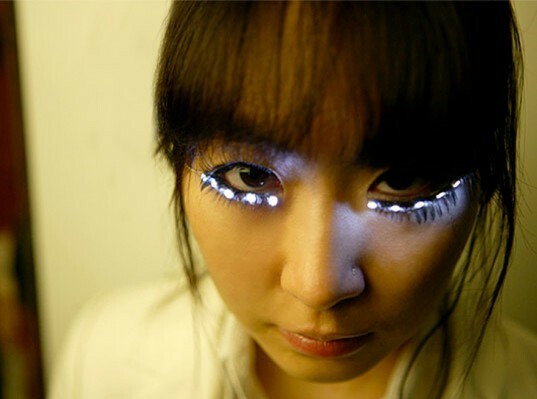 LED EYELASHES While they border on the bizarre, these crazy LED-laced eyelashes have been getting a lot of attention as a innovative way to mingle LED lighting technology and beauty. Designed by Soomi Park, the lit-up lashes are meant to make the eyes appear larger and even contain a mechanism that allows them to be turned on and off by tilting your head. We're not sure if we'd call them attractive but they probably draw the wearer a lot of attention. 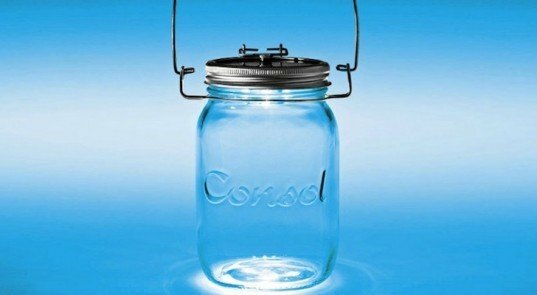 SUNSHINE IN A BOTTLE Anyone who remembers catching fireflies in a jar as a child and marveling at their glow can appreciate Consol's delightful Sunshine in a Bottle lamp. Sold in South Africa, where sunlight is abundant, the glass bottle can be left out all day to collect the sun's rays via a solar panel in the lid, and can then illuminate the night using a little LED. Aside from being a nostalgic object, this light provides an alternative for people who previously had to use dangerous kerosene to light their lamps at night. LED WALLPAPER Changing the color of your walls is currently a chore, but in the future, it might just take the flip of a switch. Developed by Philips, this LED wallpaper could make painting your walls a thing of the past. Emitting a soothing glow, the luminous wall panels can be configured in a myriad combinations of color. You might get some funny looks if you tried to tape a bunch of incandescent bulbs to your car or furniture, but you can achieve the same effect in a much more elegant way by using these handy LED strips. Available in a dazzling array of colors, they're super lightweight and are extremely versatile. LED strips come on a roll and can even be cut to size so projects that you would have needed to hire a lighting specialist or contractor for in the past can now be done easily and for much cheaper.